Currently, heat transfer printing has become a popular technique for marketing. This technique involves the heat to transfer the design on the fabric through a medium known as wax or transfer paper or sublimation paper. There are numerous benefits of heat transfer printing techniques including easy process and long lasting prints. But there are some drawbacks as well as the result of the printed material is directly based on the quality of the chosen images. However, below we have shared the pros and cons of heat transfer printing in detail to make your printed material more attractive. Nowadays, every business marketer looks for a marketing technique that will access in the mind of their customers in a personalized way. This is the best technique to produce custom promotional material without any hassle. 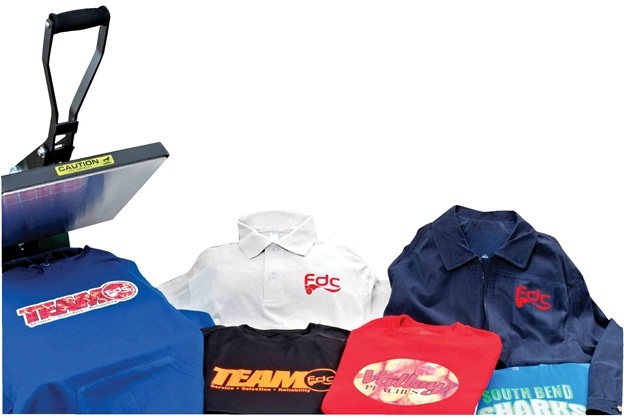 Be it a t-shirt, cap or anything, you could easily customize it in your precise way due to its quick process and setup. It will also enable you to customize the same garment numerous times with different images. Moreover, it will also empower you to add an endless amount of options in your desired shapes, sizes and colors which are hard to achieve with other printing techniques. So, you can also add outstanding effects like flock and glitter with heat transfer printing option. Suffice to say that every business operator aims to generate more leads in the minimum amount of marketing budget. When it comes to inexpensive marketing technique, heat transfer quote is the cheapest. This is because you can print one piece or thousands of prices without any limit. In addition, you will not need to invest a heavy budget for setup cost. Instead, you could print your design on paper before transferring it on the heat. Normally, the Vinyl fabric is used in heat transfer printing which is a very durable material. It can last long for many rounds of washes and wear. This is the reason why a large proportion of entrepreneur and marketer choose it to promote their brand. When it comes to printing a bulk quantity, heat transfer printing is not a suitable option. The reason behind this is that each piece is printed in a separate way. Therefore, it takes a copious amount of time to print material through heat and pressure, especially for the mega event. Consequently, if you are also going to launch a large-scale campaign in tight deadline then you must choose other option. This is one of the main cons of heat transfer printing as it can’t facilitate you with a wide range of choices. There is a small list of fabric on which you could perform heat printing because of its high pressure. Thus it is not as effective as other ways of printing on different sort of material. A lot of marketers avoid heat print because of low-quality output. In case you are using multiple colors then it might affect the end quality of your print. In order to overcome this issue, you will need to perform more than 3 layered colors which can be expensive. Hence it could be labor intensive as well. In conclusion, it could be stated now that the advantages and disadvantages shared in this post are best for marketers who aim to utilize heat transfer print option. Keep in mind to choose the best option that will provide you last long branding option with affordability. Share this post in your team as well to enhance their knowledge as well.